Inside Youth Sports: Is Your Child Playing on Too Many Teams? Is Your Child Playing on Too Many Teams? Many young athletes enjoy playing different sports and often excel in more than one. If you're the parent of one of these kids, it's likely that you can sign up your child to play in multiple youth leagues at the same time. With extended seasons in many sports, programs and leagues often overlap. Even within the same sport, different leagues run at the same time. For example, your child can play in a competitive league (AAU) or one geared more to fun and development (YMCA). Opportunity is everywhere—especially when your child is a talented young athlete. Participating in too many activities can potentially burn out your child’s desire to play. High parent/coach expectations, competitive pressure, physical stress, and repetitive drills can sometimes turn a child's joy for playing to a feeling of apathy. Too much time in organized sports can detract from other important individual and family activities. A child's academic success may suffer as may your family life (e.g. transportation, missed dinners, time away from other duties, etc.). And finally, too many organized activities can also consume other opportunities for your child to enjoy sports—specifically the self-directed neighborhood pickup games that offer essential benefits. Less obvious is the detrimental effect that the inevitable missed practices and games will have on your child’s teammates and coaches. These individuals may depend on your child’s presence for success. Not only do a player’s skills and talent contribute to the success of a team, but the player’s participation in practice also directly impacts the team’s play. Good coaches grow their program throughout the year, building upon each prior practice and game. In practices, they both address mistakes in the prior game and teach new sets, plays, and other more advanced team tactics. They want to work with players to overcome their individual weaknesses. They seek to establish greater team chemistry and bonding. Without your child’s presence at practices, a coach cannot accomplish these tasks and achieve the program’s desired goals. Any child who misses practices and games can hurt a team's prospects for success. But even more impactful is the absence of the team's "star" athlete. This child often play's a key role and is essential to the team's success. In equal-participation leagues, the child may have been assigned to a team in an effort to create equally competitive teams. When the team's best player is absent, this balance is lost. And it's no fun when one team can't compete because they lack a key player. As the parent of an exceptional young athlete, you need to pay special attention to the potential impact of your child's participation on any of his or her teams. Although your child may want to play, sometimes you may need to limit participation. Although you want to provide your child with the best opportunities, balance your personal interests against those of other parents, players and coaches. Two core values in sports, both at the individual and team level, are respect and responsibility. In team sports, players are responsible to their teammates and must respect their teammate’s needs as well as their own. As a parent, demonstrate and convey these values to your child by realistically committing your child only to teams on which he or she can fully participate. 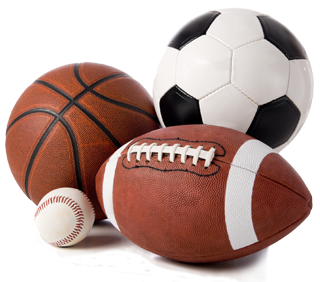 I think encouraging kids to play multiple sports is a great idea, but maybe limit it to one sport a season :) The more competitive the teams are the more of a commitment becomes for your player and sooner or later something is going to have to give. I agree with Jodi. When I was young I played ALOT of sports, but the most fun I would have was always when I would just get together and play with my friends without coaches and parents watching. I think there just isn't enough emphasize on that these days. It seems like if a child wants to play a sport they have to be on a team when they can just get together with some friends and have a ball. Why's That Player Yelling, "I'm Open, I'm Open!"